The Spring Piano Recital represented so much MORE than a studio of students playing pieces they had worked on for several months. 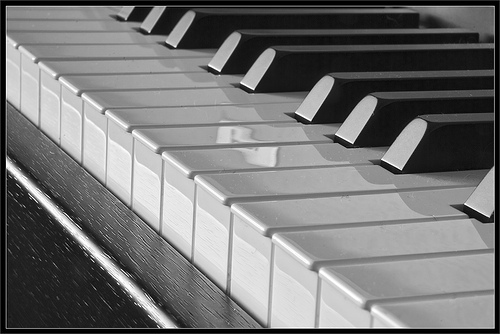 I feel quite strongly about playing a musical instrument, and the piano just happens to be our instrument of choice. My daughter has been taking lessons for three years now. She practices 20-30 minutes every day. She takes a lesson once a week (yes, even in summer) and attends group theory classes. In the beginning this was something I just declared she would DO... a part of what her dad and I believed was essential for her to learn. Yes, there have been times where she has felt like throwing in the towel, but (since I have been there myself and know these feelings usually pass) we have encouraged her to keep going and provided motivators along the way. This is now a skill SHE has chosen to practice and perfect. I love seeing her hard work come to fruition. I believe these performances are invaluable. I watch her approach the piano with confidence, play with grace, and see the pride in her sweet smile. My brother played the piano quite well, but he quit lessons somewhere along the way... he now jokes with me, "I'd be really good at the piano if mom wouldn't have MADE me quit!" I happen to know it didn't quite happen THAT way. Thankfully, my mom was older and wiser by the time I was involved in piano lessons - she made me keep going, and I cannot thank her enough.